The validation is a visual hint for users to make sure inputs are valid. validation of an input field: Validates the input of a single input field. See usage and styling in section input field validation. 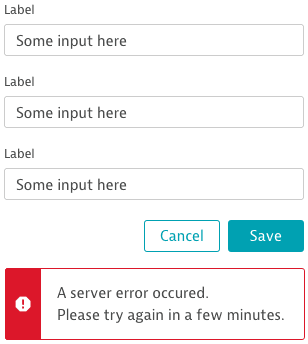 page specific error validation: Only use this kind of validation for a whole section, whole view and errors which occur when sending data. 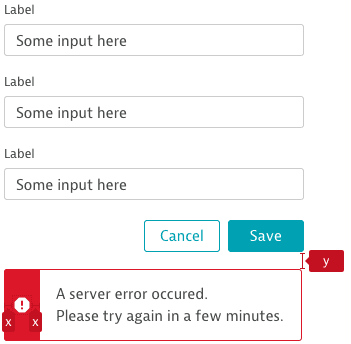 See usage and styling in section page specific error validation. Once the input in a field is changed to a valid form, the validation hint turns green. This validation concerns a whole section, form or even a whole view. See more information about the styling and position of this component in the warning styleguide.